If there’s one thing I am more obsessed with than books, it’s food. I love cooking. I love long, extravagant dinners at fancy-schmancy restaurants and quick meals sitting at the bar at our favorite local taqueria. I love watching cooking shows (particularly The Barefoot Contessa) and cooking competitions (especially Top Chef). I love reading cookbooks and cooking magazines. I love testing out new recipes and then making them my own. I love shopping for fresh, delicious ingredients at our local farmer’s market. I love baking. And I love, I mean, LOVE eating. But my love of food is child’s play compared to Ruth Reichl’s. In the world of food, Reichl is a member of the pantheon. Reichl has been the chief food critic for the LA Times and the New York Times. She was the editor of Gourmet magazine. She has authored cookbooks and food memoirs galore. She is a judge on Top Chef Masters. And she has one of the most unbelievable palates in all the land. And, now, Reichl can add novelist to her list of accomplishments. Delicious! is a highly readable, if somewhat trite, book about Billie Breslin, a drab and damaged, but very bright, girl with an exceptional palate. 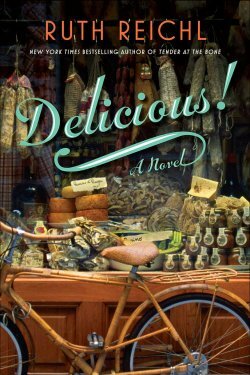 Billie drops out of college to move to New York City and work as assistant to the editor of Delicious!, a Gourmet-esque magazine. Work breathes new life into Billie, especially when she happens upon some letters between a little girl named Lulu and James Beard, which were written during World War II, about life during the war and the difficulty of cooking with rationed ingredients. The book is a friend story, a love story, a food story. It has a little bit of romance, some geek-to-chic makeover magic, a hint of mystery, and even a few recipes thrown in for good measure. And, immediately, you know what you are getting into. This is a light, fun, easy-to-read book where a lot of time is spent discussing food and ingredients (some normal, like mozzarella, and some highly unusual, like milkweed floss). And that is exactly what you’d expect from Reichl’s first foray into fiction. Her knowledge of food and the food industry is evident in the subject matter, the dialogue, the recipes. Many things (life at the magazine, for example) are clearly borrowed from her personal experience. And her love of and appreciation for food gleams brightly throughout the book (as Lulu says in one of her letters to Mr. Beard, “A great meal is an experience that nourishes more than your body.”). 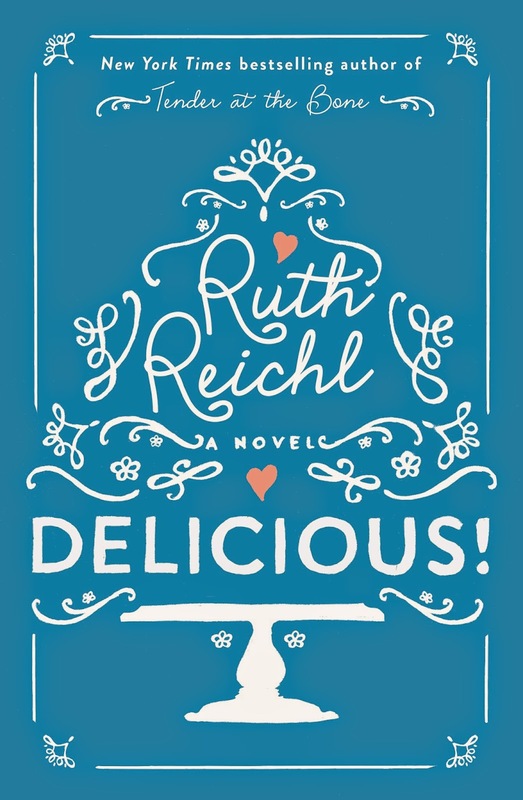 Reichl has had a lot of practice writing about food, and she has found a style that works. She writes in a very accessible, fun way that reads very quickly. The story is cliché and a little cheesy, but who cares? This is not deep literature, and it won’t leave you pondering the meaning of life. It is mindless, happy fluff—the kind that is perfect for a plane ride or a lazy day at the beach or pool. Who should read it: Rachel (i.e., people who love food and cooking and enjoy light-hearted and enjoyable books). This entry was posted in Rating: 3/5 and tagged Book review, Book Reviews, Books, Delicious!, Ruth Reichl. Bookmark the permalink. Finally read this one. I agree with your review. I wish it had been written while my mother was still alive. I think she would have enjoyed it. BTW, I think Ruth Reichl’s nonfiction books were better. You’re right; Grandma Cassel would have really enjoyed this book. I definitely agree with you about Reichl’s nonfiction–I really enjoyed Garlic and Sapphires (which I mentioned briefly in this post: https://iknowwhatyoushouldread.wordpress.com/2013/10/22/born-round/). Let me know if you come across any books that you think I’d enjoy!! Hope all is well on Maui!